Soffit and fascia are used when installing roofs. Installing these two roofing components together helps prevent mold and mildew resulting from moisture to enter your home's rafters. Soffits and fascias also increase air ventilation and protect the areas of your home that are difficult to cover with paint. Often the terms soffit and fascia are confused because they are usually referred to together, but they are very different components with separate uses. Soffit and fascia work together to provide protection your roof's interior parts. The underside of any element of a building, such as an arch, a projecting cornice or the underside of a flight of stairs is called a soffit. For example, the horizontal piece of aluminum or vinyl that covers the underside of your roof's overhang is a soffit. Fascia is the board that runs along the ends of a structure to which exterior elements such as guttering is attached. The horizontal pieces that cover the space between the soffit and the roof are the fascia boards. Typically a soffit is used in the area beneath the eaves on the exterior of a house to close the space beneath the eave. The soffit extends from the side of the structure to the edge of the eave. Fascia is used to create a barrier between the edge of the roof and the outside. It creates a smooth appearance to the edge and protects the roof from weather damage. Fascia also provides a point for the gutters and drain pipes to attach to. Fascia is important to a properly constructed roof and is typically installed beneath the roof line and behind the gutters. Fascia is installed around the entire structure and is attached to the uncovered ends of rafters or to the top of exterior walls. Soffit is designed to be installed from the exterior wall to the fascia board. It is hidden under the eave and behind the fascia. Sometimes the roof is flush with the edge of the exterior walls. In these cases, the fascia itself might include soffits for venting. Soffit is typically made of vinyl or aluminum, but wood is also used in some construction. Vinyl and aluminum soffit is usually available in a variety of colors to match the home's siding. Fascia boards are commonly made of wood but also might be purchased in plastic and aluminum. Plastic and aluminum fascia is also available in various colors. 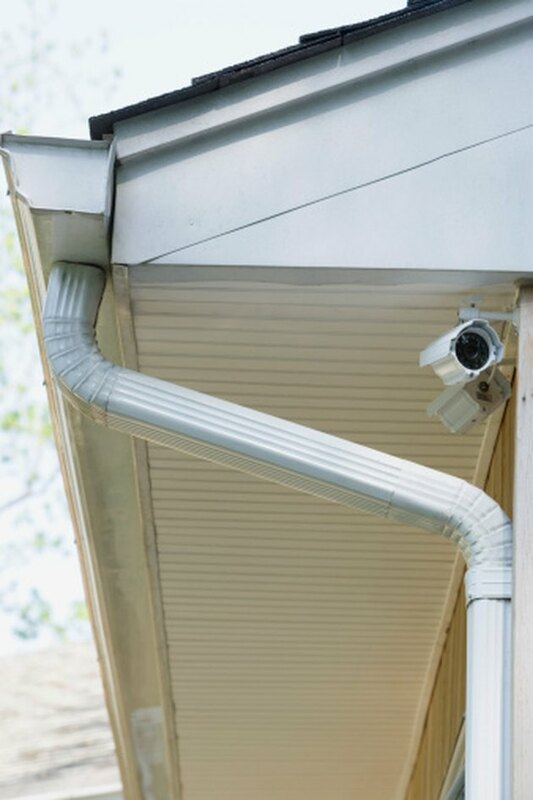 Soffit is more vulnerable to the elements than any other part of your home. Soffit is constantly exposed to water flowing from torn shingles, damaged or rusted flashing and damaged or malfunctioning gutters. Birds and squirrels like to nest in the space behind soffits if they can find a way in and can cause damage to the soffit. Soffit should be replaced if it shows signs of damage or rotting. Fascia board is not as susceptible to water damage as soffit, but if fascia boards have been exposed to water and show signs of rot, they can detach and will have to be replaced.